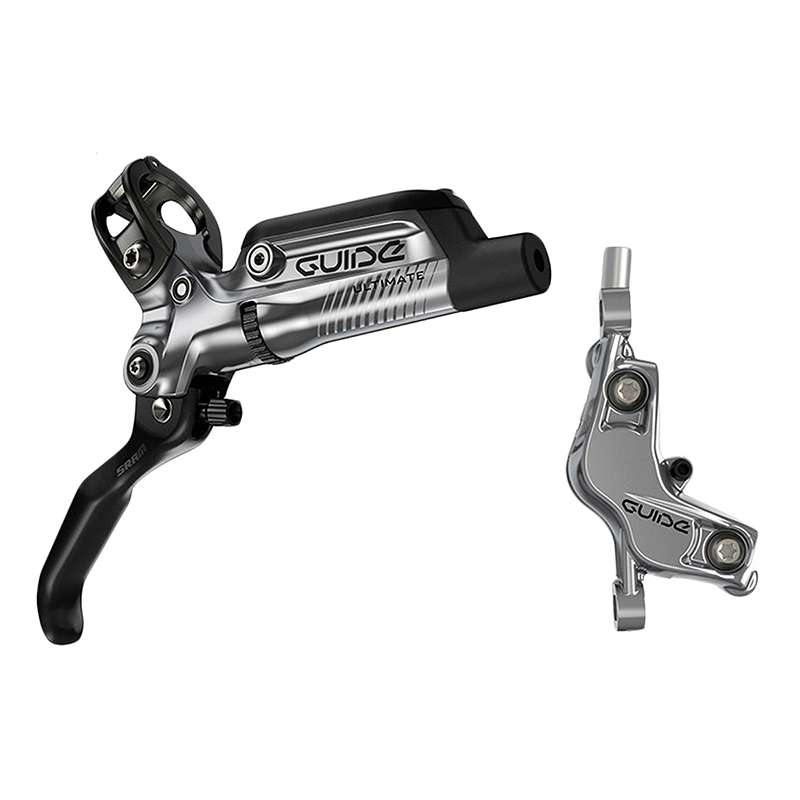 * With its completely new, 4-piston S4 caliper, SwingLink lever cam, and carbon lever blade, the 360-gram Guide Ultimate stands alone as the new leader in its class. It has been engineered to be light and powerful, with superior heat management capabilities, which give you better, more consistent, more reliable braking. The new caliper design also incorporates a re-designed seal and aluminum piston interface for ease of setup and improved consistency, while Bleeding Edge technology makes bleeding Guide Ultimate a quick and easy task.